My father, Leslie John Tywoniuk, 94 years old and a war veteran, has just moved to an assisted living retirement home. Upon entry, on my first visit, there was a very strong fragrance in the lobby. One older gentleman was sitting there in his wheelchair and looked very out of it, most likely affected by the fragrance. I quickly got down the hall, away from him. By the time I got to my Dad’s location all was good. I called the management later and they were very concerned and they said they have a fragrance free policy, which is great, but unfortunately it only applies to staff, not to residents or guests. On subsequent visits, upon encountering the same gentleman in the wheelchair, I became convinced he is the source of the fragrance, some cologne or personal product. I hope I get the chance to discuss it with him soon. The bad news is that when I found my Dad, he was in a bad state. I have never seen him so upset, he was very mad and would not stop talking about my Darling sister (not!) and her son, Princess J. We had a falling out with them years ago. Imagine this. Princess J, as he is known in our family, had the nerve to tell his Grandpa, (my Dad, Leslie John Tywoniuk, a 94 year old war veteran) that he could not mention his son’s name (mine) in his presence. Believe it or not, this occurred in my Dad’s own home. Well, my Dad immediately set him straight! Princess J did not like that as he has always got his own way with his puppets (parents). After that, he refused to talk to his Grandpa, or answer his calls or return a call to him. Princess J has never been able to admit wrong, be accountable for his actions and the worst part, his mother the wolf in sheep’s clothing, my Darling sister (not! ), supports him. Now she will not talk to our Dad either. Princess J has done this to his Grandpa for over two years now. This is so very disrespectful. I would call this elder abuse. My Dad is in his last years and still they refuse to talk to him. I was hoping the father / husband, being so involved with the church, would convince them to behave in a more Christian way, but Darling sister (not!) and Princess J have always got their way in the household. It is like two women ganging up against the dad, with Mom and Momma’s Boy, Princess J, supporting each other. So sad. If anyone could lend some advice on what to do to improve this situation, please send your comments to the blog and I will post them. I wish we could blame this one on fragrance. But no, it is just disrespect to my Dad. Please help with any ideas or if you know them personally, try to talk some sense into them before my Dad passes. 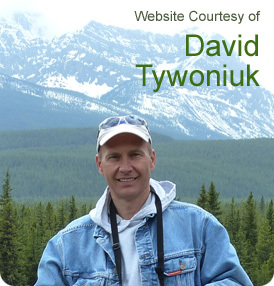 Thank you, from his loving and caring son, David Tywoniuk. Help save Leslie John Tywoniuk, one of our last WWII Veterans, from elder abuse. This entry was posted by davidtywoniuk on January 6, 2018 at 10:18 pm, and is filled under Uncategorized. Follow any responses to this post through RSS 2.0. You can skip to the end and leave a response. Pinging is currently not allowed.